The Marcel Gani Internship program helps startup companies and venture capital firms hire Ross School of Business students for a 12-week hands-on work experience. This program gives students the opportunity to develop their entrepreneurial skills by accelerating the advancement of the host company. The student-initiated and self-hosted internships offer the opportunity for students to find a host company at which they wish to intern or to work on moving forward their own startup over the summer. Host companies benefit from the knowledge and expertise of a Ross student. Interns are an excellent resource for leading essential projects for a startup company to reach the next stage in their business development. Within a venture capital firm, student interns add immediate value by performing due diligence and researching investment strategies in new markets. Are you a startup company or venture capital firm interested in hosting a UM Ross BBA or MBA intern? Learn more about the Marcel Gani Internship program. Michigan Ross BBA Sophomores and Juniors and MBA1s interested in an internship with a venture capital firm or startup company, review the Marcel Gani Internship posting by searching the Off-Campus Job Board on Impact. Search "Marcel Gani Intern" to find the related postings as well as details on the organizations selected for 2019. Please check Impact periodically as new startup and venture capital opportunities become available. Traditional Internships are internship opportunities arranged by the Institute with a host company to provide Ross students with an opportunity to receive hands-on entrepreneurial experience. The recommended minimum compensation is $1,200 per week for an MBA and $900 per week for a BBA for a minimum of 12 weeks. 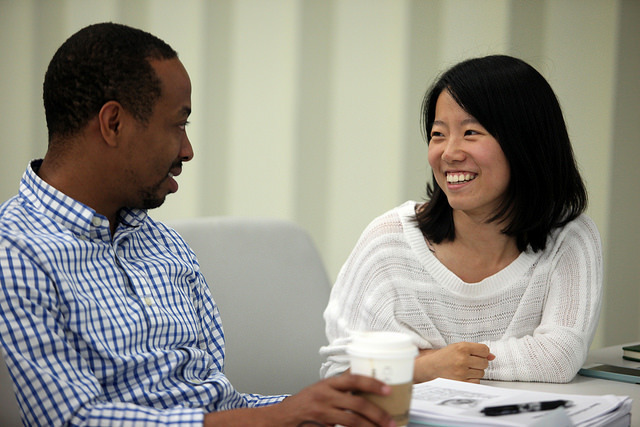 Students must be a first-year MBA or equivalent for evening and dual degree students, or a Sophmore or Junior BBA and must be currently enrolled at the Ross School of Business. International students are responsible for ensuring that their visas meet eligibility requirements for work. Review the entrepreneurial companies that contacted the Institute to hire summer interns and follow the links to read the job description. Drop a resume for the appropriate positions followed by a phone call or an email to the company contact to express a personal interest in the internship. Companies will contact students directly to request an interview. Internship Plan: During the second week of the internship, the intern will write an internship plan that describes what the job focus will be for the summer and what value will be gained from the internship. It should clearly detail the student's individual goals for the summer and the goals of the host company. Thank You Letter: Each intern is assigned to a specific Institute donor who provided funding for the Marcel Gani program. In the middle of the summer, the intern will write a thank you letter to the designated supporter. Final Summary: A week after the internship ends, the intern will write a three to five page essay explaining the challenges of the internship, the solutions to those challenges, and how the intern's work will be used by the host company in the future. Post Internship: Interns do not earn academic credit; however, they may choose to write an academic case, based on their internship experience, for credit or compensation through the Institute's Case Writing program. Approval from the host company is required. For further information, contact zliinternships@umich.edu. Student-initiated internships support Ross students that are recruiting their own internship host and shaping the internship efforts with startup companies or venture capital firms. Students can find opportunities by joining relevant mailing lists, reading entrepreneurial blogs, engaging local entrepreneurial groups, and reviewing investments from venture capital firms. When contacting companies that sound promising, students should emphasize their unique skills and talents and suggest how an internship would be in the company's best interest. Because 50% of the intern's salary (maximum of $7,200 for MBAs and $5,400 for BBAs for the entire summer) is reimbursed to the student, these entrepreneurial firms have a greater ability to hire a Ross student during the summer. Students may show this one-page flyer (PDF) to potential host companies to help facilitate the discussion of a potential internship. Graduate students must be a first-year MBA or equivalent for evening and dual degree students, undergraduate students a Sophomore or Junior BBA. Eligible host companies must be in the early growth phase of business development, preferably with less than 50 employees and secure financial backing through outside funding or internally generated cash flow. A venture capital firm that invests in early stage companies may also serve as a host company, though students should perform work for the firm itself and not for the portfolio company. The focus of the 12-week internship should be based on the host company's goals and identify how the student will help the company achieve those goals. The work performed by the intern should give the student a significant opportunity to contribute to the success of the host company while developing her/his entrepreneurial skill set. Internships with venture capital firms should provide the student with an investor's perspective of entrepreneurship. Write a two-page statement that identifies the scope of the work to be performed, the effect the intern will have on the company, and the expected outcomes for the host company and the student. Obtain an offer letter from the host company that agrees with the scope of the work statement and states that the company consents to pay at least half of a $1,200 weekly salary for MBAs or a $900 weekly salary for BBAs for a minimum of 12 weeks. Submit all materials to ZLI here. Applications will be accepted on a rolling basis but those received by March 19 will have a much higher likelihood of being funded. A limited number of Self-Hosted Internship opportunities allow Ross students to spend the summer executing their own business plans. Student founders are encouraged to apply for this opportunity if they have a complete business plan and have not received outside equity financing. Participants in the Michigan Business Challenge and the Dare to Dream Grant Program are permitted and encouraged to apply; however, students may apply regardless of their involvement with these programs. Graduate students who apply for a Self-Hosted Internship must be a first-year MBA or equivalent for evening and dual degree students; undergraduate students a Sophomore or Junior BBA and must be in good academic standing at the Ross School of Business. Students who apply for a Self-Hosted Internship must be enrolled at the Ross School of Business and must be in good academic standing. Compensation is limited to $7,200 for one individual, though the entire team is encouraged to help develop the business during the summer. The student may not work for another employer for the duration of the summer. Students must plan to launch in southeast Michigan to be granted a Self-Hosted Internship so that proper guidance and counseling can be provided. Meet with a ZLI entrepreneur-in-residence or staff member to determine preparedness for a self-hosted application. Complete this internship application and attach a one-page resume. Submit a complete business plan of 20 pages with up to 10 pages of appendices, one inch margins, single spaced, and no smaller than 11-point font. Create a one-page summary of the goals of the internship. Submit all of these documents to ZLI here. Applications must be received by March 19, 2018. After the deadline, ZLI will connect with students on whether the application has been approved for self-hosted funding. Only complete applications submitted to ZLI will be selected for review. Weekly meeting: Interns will meet with an assigned staff mentor at the Zell Lurie Institute to discuss the progress and roadblocks of launching the business. Final Summary: A week after the internship ends, the intern will submit a five-page essay explaining what tasks were accomplished throughout the summer and the current status of the business.